On July 17, 2013, Jonathan sat down with self-described “Chief of Confusion” and former Chief Scientist for the Xerox Corporation, John Seely Brown. They discussed his life, legacy, and the role of innovation and entrepreneurship in a rapidly changing society. The video can be viewed here. Good evening. I am Jonathan Fanton, Interim Director of the Roosevelt House Public Policy Institute and it is my pleasure to welcome you to a very special evening. Many of you have been here before to enjoy book discussions like Ira Katznelson’s Fear Itself, hear world leaders like former Prosecutor of the ICC, Luis Moreno Ocampo, or talk presidential politics during our recent conference entitled Ike Reconsidered: Lessons from the Eisenhower Legacy for the 21st Century. Tonight is different. I have been long wanted to have a series of conversations with the most interesting people I know personally. Ed Koch was my first guest, followed by former MoMA President Agnes Gund, Vartan Gregorian of the Carnegie Foundation, James Lipton of Inside the Actor’s Studio, and, more recently, civic leader Rita Hauser who is here tonight. Tonight is a very special night for me. Our guest is John Seely Brown, who has been my mentor both at the New School and at the MacArthur Foundation where he was a trustee for a decade. JSB, as most people call him, is a modest man, a generous man who cares, listens deeply and tries to help. And does. Every person and institution is different, better, after an encounter with John Seely Brown. He did his undergraduate work at Brown University and then earned a Ph.D. from the University of Michigan in computer and communications science. He had a long career at Xerox, serving as its chief scientist and Director of the Xerox Parc research center. In that fruitful period, inventions and insights into human nature flowed non-stop from Palo Alto. I think of the PAIR program, which fosters collaboration between artists and technology researchers who are using new social media, PARC’s efforts to develop new printing laser technology, which has made printers faster and more efficient, and JSB’s insights into how businesses can maximize their human resources and build effective and collaborative work environments. JSB is a scholar in his own right, having published over 100 papers in scientific journals and authored must-read books like The Social Life of Information, The Only Sustainable Edge, The Power of Pull, Design Unbound and The New Culture of Learning. He has lectured at universities around the world and is currently a Visiting Scholar at the University of Southern California. 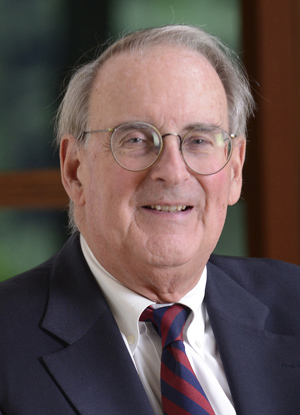 In addition to MacArthur, he has served on the Boards of Brown University, Amazon, Corning and Polycom. And he is in demand as an advisor to governments around the world from Singapore to Spain. At the New School JSB served on the President’s Technology Advisory Committee. He helped us put the “New” back in the New School as we became a pioneer over 20 years ago in distance learning, one of the first universities to offer a degree earned wholly online. And he saved Parsons School of Design which had been slow to adapt to technology by persuading us to start an interdisciplinary knowledge union with state of the art equipment. And it was JSB who proposed we create a Fund for New Ideas to encourage people to put forward fresh, risky ideas of their own. All of us who have been told repeatedly by self-satisfied foundation staff that our ideas are out of program know how important JSB’s determination to open up was. New fields like Neuroscience and the Law and projects like E.O. Wilson’s Encyclopedia of Life were supported by the Fund which JSB chaired. So I look forward to our conversation.